Shakespeare was born on the 26th of April 1564 and died on his birthday in 1616. He is known by many people as the best play writer/actor ever to exist. Most people think that William only wrote plays but he actually joined The Lord Chamberlains Men and acted small roles with them. He has written around thirty-eight plays, one his most famous ones is named "Romeo and Juliet". This not only the most well know Shakespeare play but its also one of the well know in the world. At 18 and a half he married Anne Hathaway. He had three children with her but the most astonishing thing is that Anne was carrying a baby before they got married. Susanna was born six months after they got married. This is very rare and almost "weird" to happen back then. Shakespeare made most of his plays between 1585-1592. He made a lot of different types of plays but most of them were comedy. Back then, in the Elizabethan times there was no such thing as copyright so many people copied Shakespeare's work and sometimes made a lot of money. 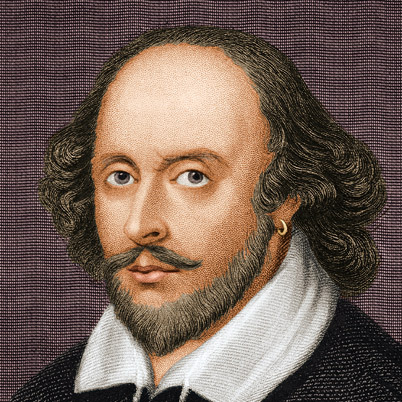 Overall William Shakespeare will never be forgotten and will be remembered as the master of play writing. He is a hero for many and is respected by most. Personally i am disappointed that i couldnt see one of his plays! They sound remarkable!